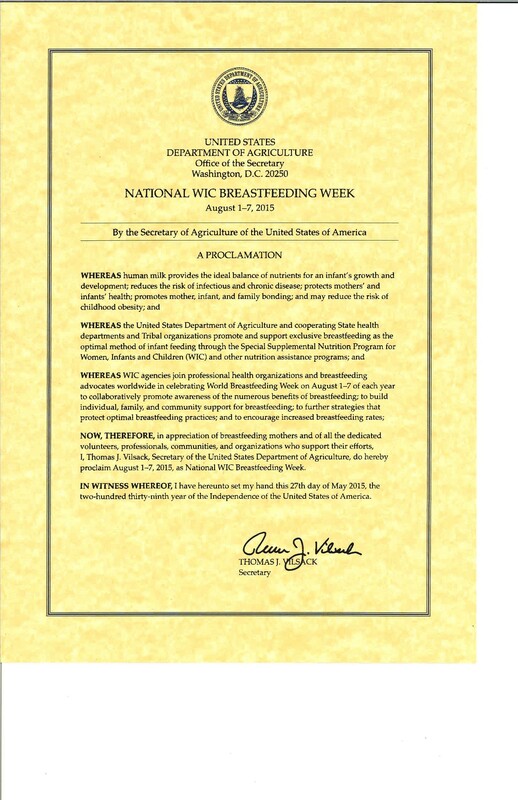 The USDA declared Aug. 1-7 National WIC Breastfeeding Week. We salute our WIC team: Stephanie Anklan, Doraine Bailey, Guadalupe Blankenship, Nkeshia Coleman, Trina Diuguid, Kelli Gould, Zinder Morris, Hannah Newsome, Laura Oliver, Glendy Ordonez, Veronica Perrin, Jenny Preston, Jenna Schwartz, Mayra Shields, Rebekah Shoopman and Kelli Zik! August is also National Breastfeeding Month. Our Doraine Bailey helped with The Big Latch On, an international simultaneous breastfeeding event held Aug. 1. Lexington’s event featured 36 breastfeeding moms, plus dads and kids, for a total of about 100 participants!